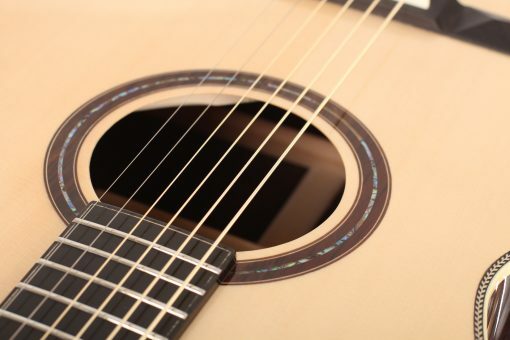 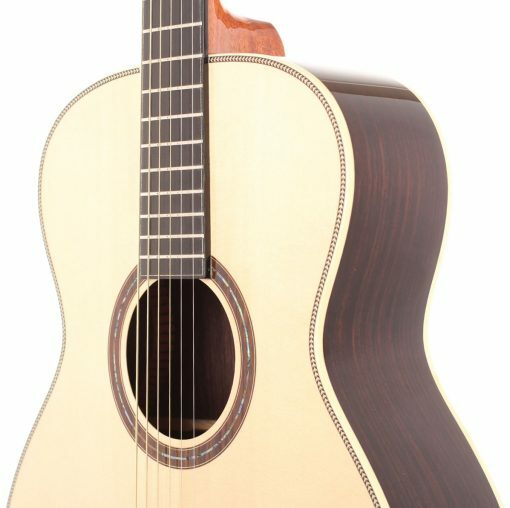 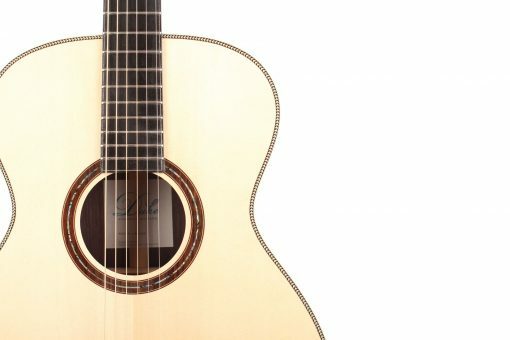 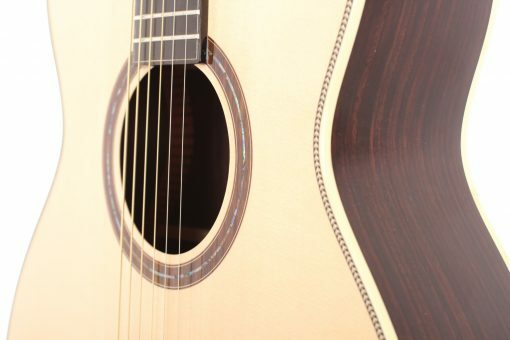 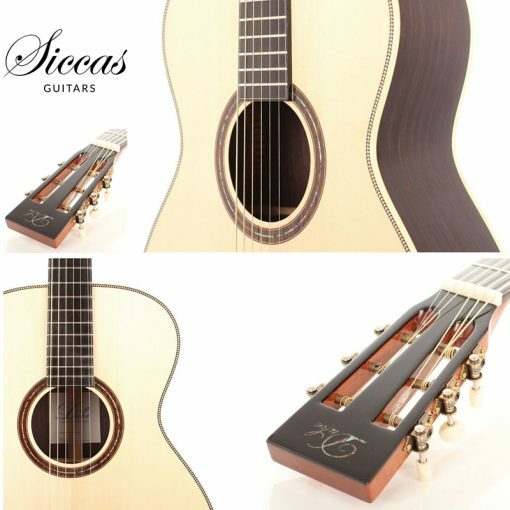 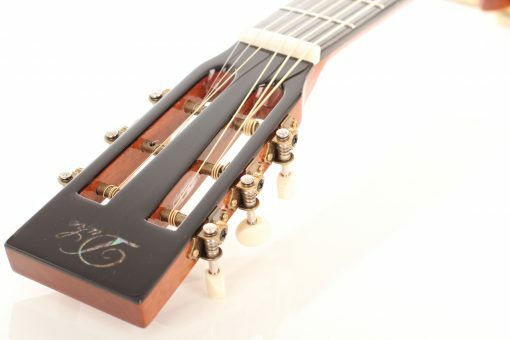 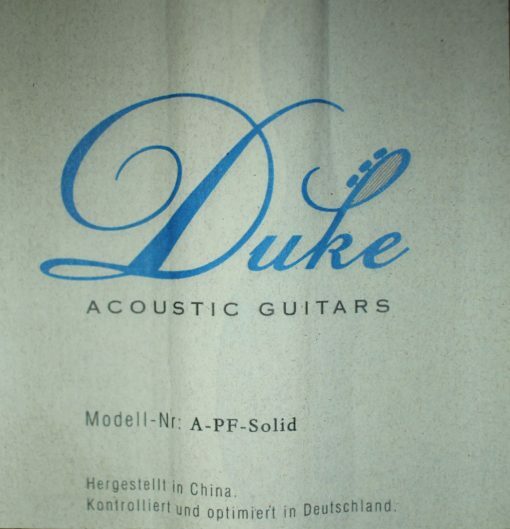 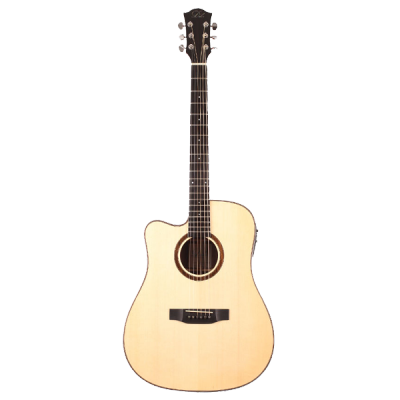 This Duke A-PF Solid guitar has an exceptional quality. 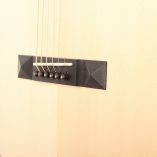 It has a very powerfull and equilibrated sound. 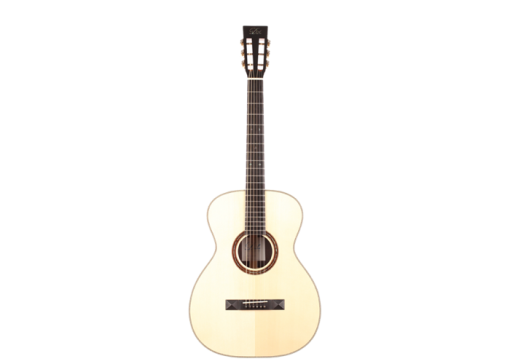 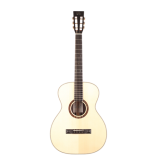 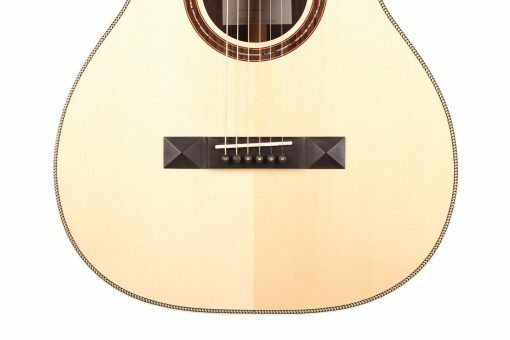 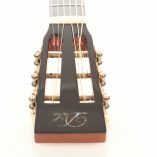 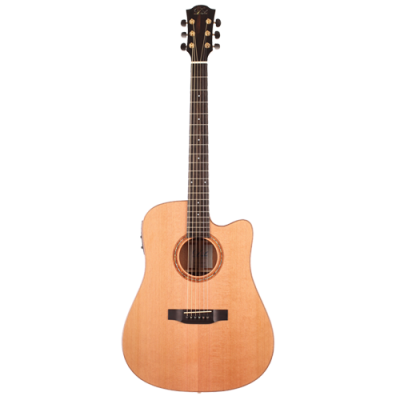 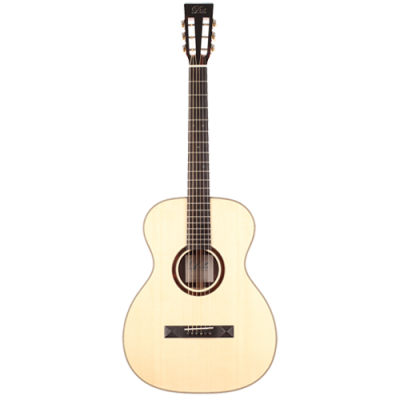 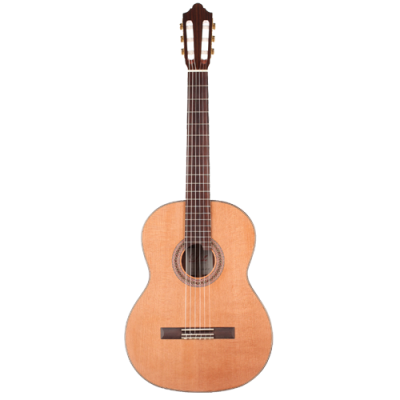 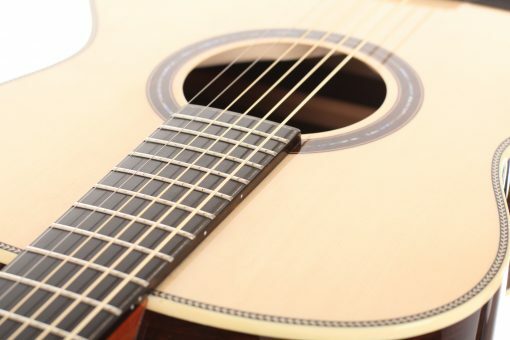 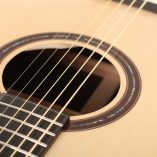 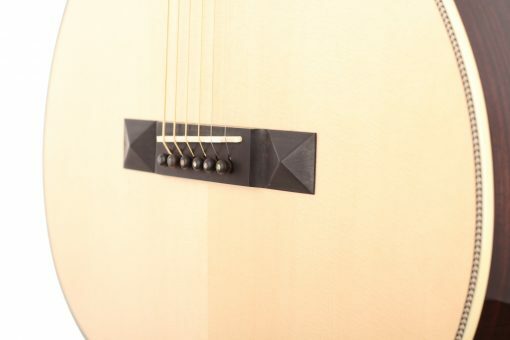 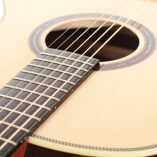 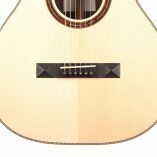 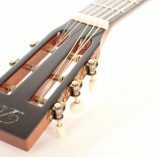 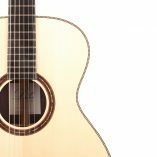 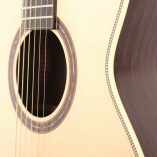 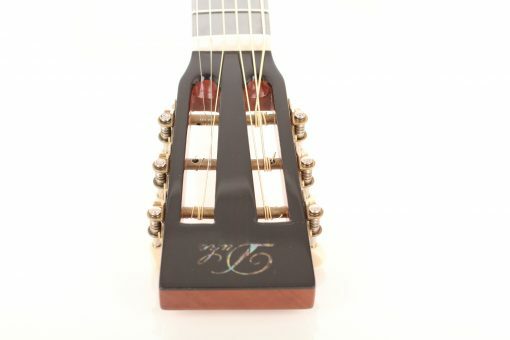 This guitar is perfect for beginners and also professional players. 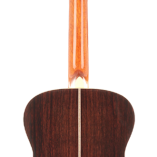 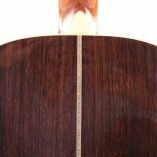 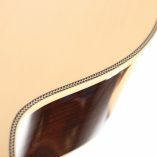 The Duke Grand Auditorium has as solid spruce top and back and sides that are made of solid rosewood. 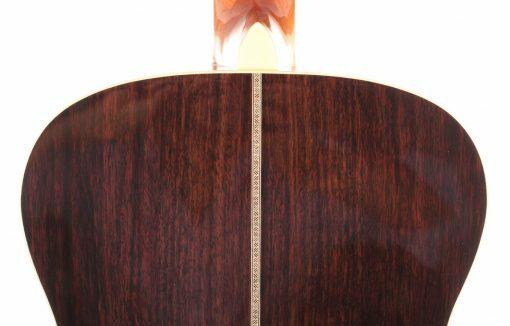 The neck is made of cedro. 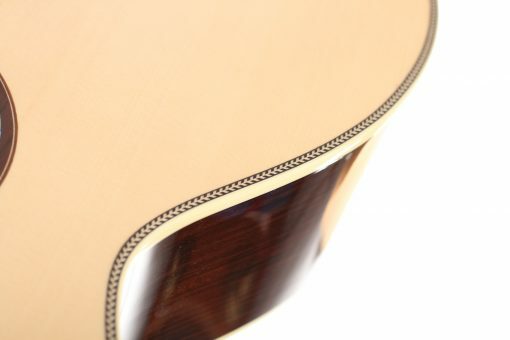 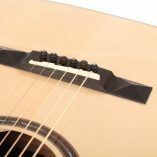 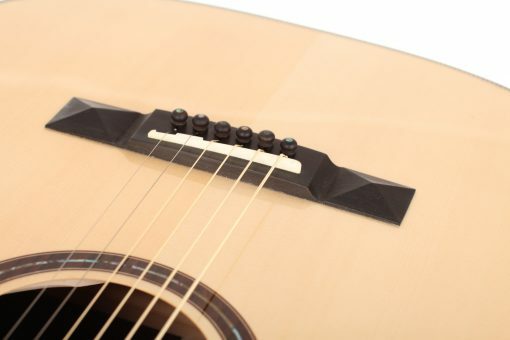 The guitars are refined with a high gloss finish. 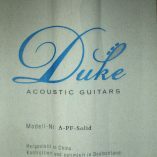 Included is a gig-bag by Duke.